"Never again get wiped out because you are blind!" 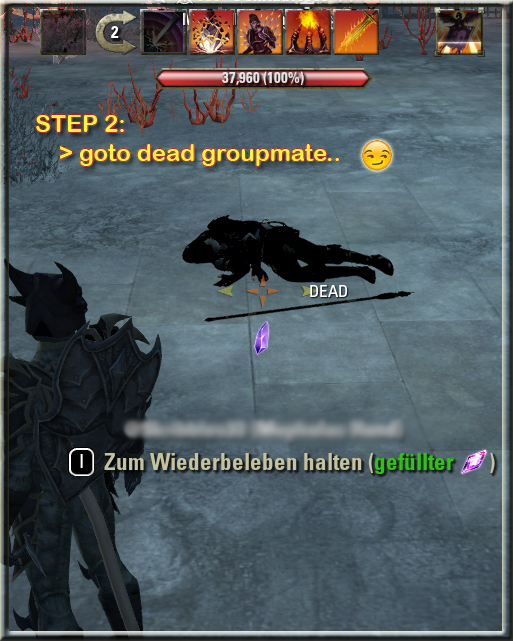 v1.023: You can now turn on or off the helper for the different group roles like damage dealers. 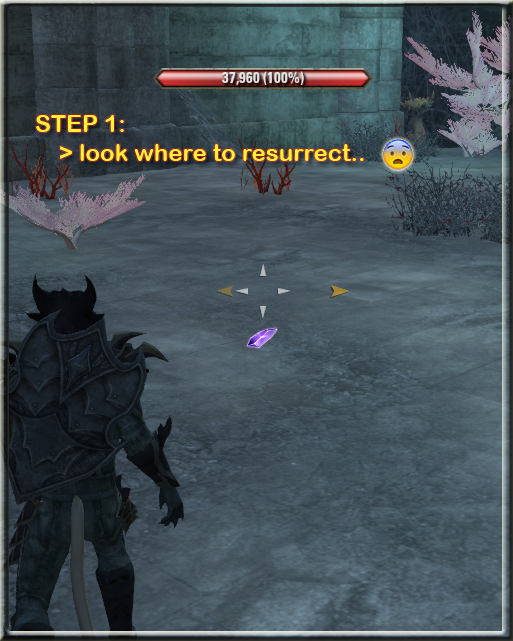 v1.018: You can now choose your own wish-color for the healer or the tank. v1.016: New colors for healer (green) and tank (orange). 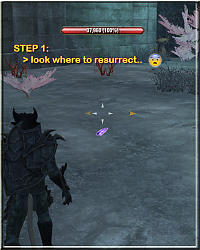 v1.010: You can now configure the size of the resurrection pointer. You may write a comment what to do next, Dryzler. could you add a setting to change the size of each arrow? (dd/tank/heal) also to change the alpha for each? Last edited by BloodStainCHild : 05/29/18 at 01:29 PM. 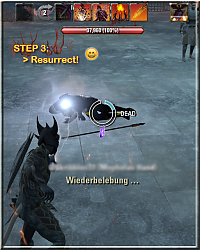 So I was just wondering if you could provide different arrows that show to death players. I actually noticed a small bug. 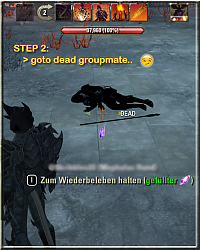 If the group wipes and self-rezzes at the end of combat, the icons remain on screen. Maybe have a check that ifunitincombat display indicator. Other than that, It's great when combined with FTC overlay. I know who I should be rezzing first. Got the same problem. Even if only on dies and self-rezzes, the icon ramains on screen. You can now turn off and on the helper for damage dealers if you want. Hi, if you have an example which pointer you want, maybe i can test it. The option with just healer/tank to show makes no sense to me? Any chance we can get options to have different pointers also options for just healer/tank to show? Hi, i made a modification the the pointer is only shown when the target is in the group support range. That group support range comes from the game, so i would ask you, if its usable this way, or maybe a fixed distance (like 50m 100m,..) would be better..
icon for the healer and tank. You can just add an ON/OFF button for every role. Tank, healer, DDs. If you are a DD the other DD is less important to ress. Make sense to me only seeing the icon for the healer and tank. You can just add an ON/OFF button for every role. Tank, healer, DDs. In the German Translation you got 2 spelling error for the message telling you that healers/tanks got their own colors. You missspelled gi(e)bt and Farbe (Frabe). Take the quoted text as a fix. Unfortunatly, i am one of those who do not like having too much colors on her screen. i tested it and now i am stuck with this version as there is no old one linked as usual for other addons. Would you mind to tell me what to change to revert the color to the simplest one ? For now, i have it unchecked. Last edited by Anceane : 07/15/17 at 10:16 PM. Feel free to enjoy my addons and post your comments, bugs, and feature request in the comments.